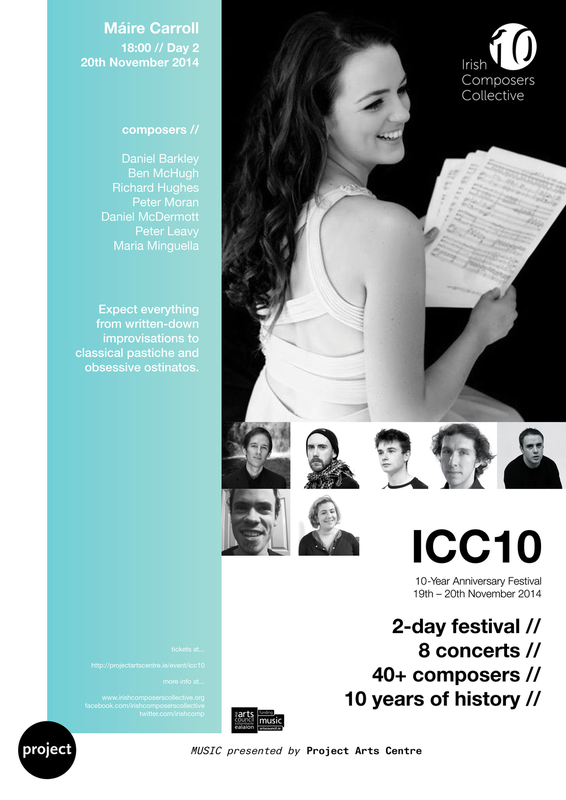 November 2014 marked ICC's ten-year anniversary and we celebrated the milestone with ICC10, a two-day festival right in the heart of Dublin City. ICC10 comprised of eight concerts from performers closely associated with the ICC, spread across two days in the Project Arts Centre Upstairs Space and including new works from well over half our seventy current members. As well as this, we acknowledged past and founding members who returned to celebrate with us. We opened in style with a short acoustic set from our members, washed down with complimentary drinks and ice cream kindly provided by O’Haras, John Lemon and Murphy’s, our magnificent sponsors. This beautiful museum, devoted to the stranger side of Dublin’s history and curated by a founding member of the ICC, Simon O'Connor, was the perfect location to launch a festival celebrating the tenth birthday of a collective which is possibly the only one of its kind in the world.